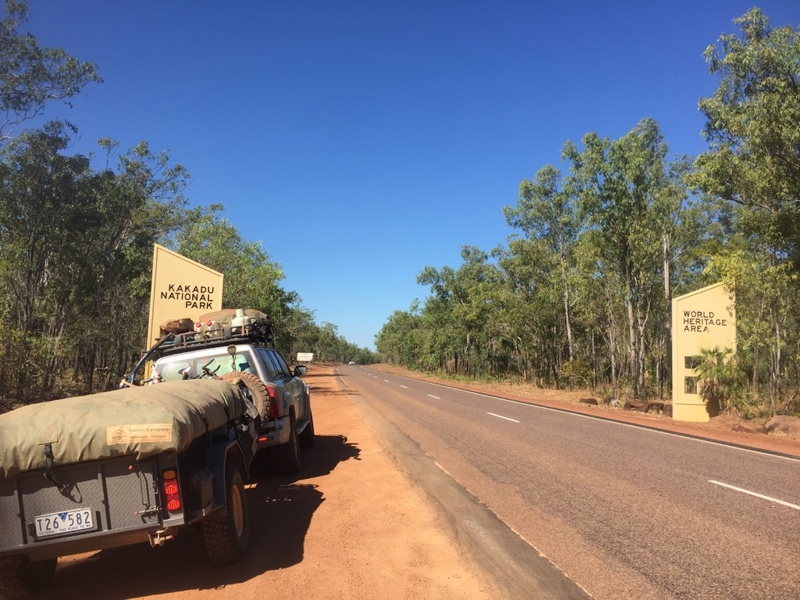 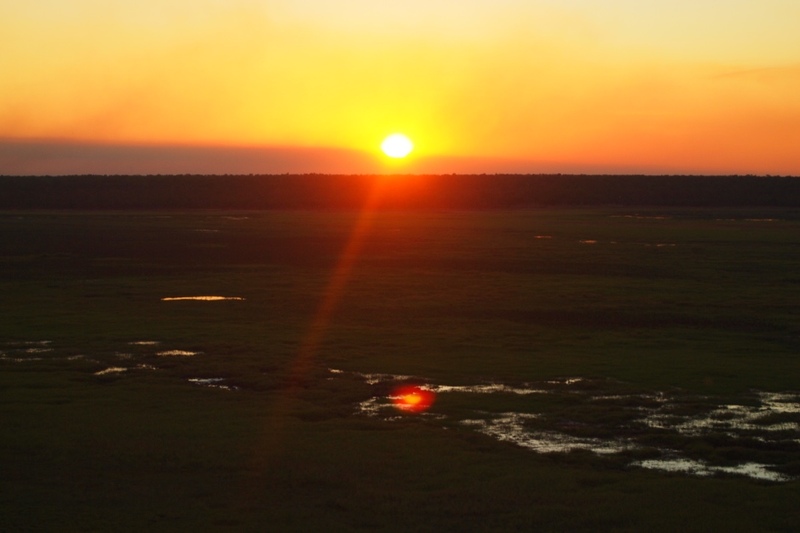 We were excited to be arriving in the town of Jabiru in the Northern part of Kakadu National Park. 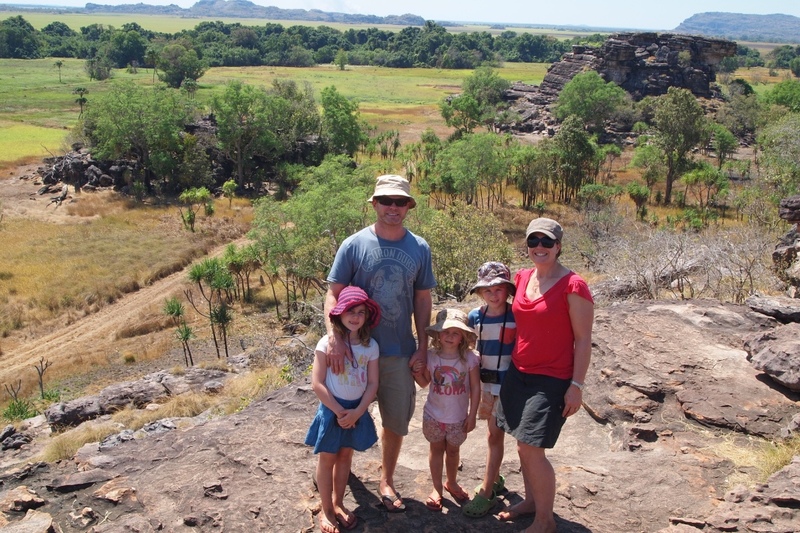 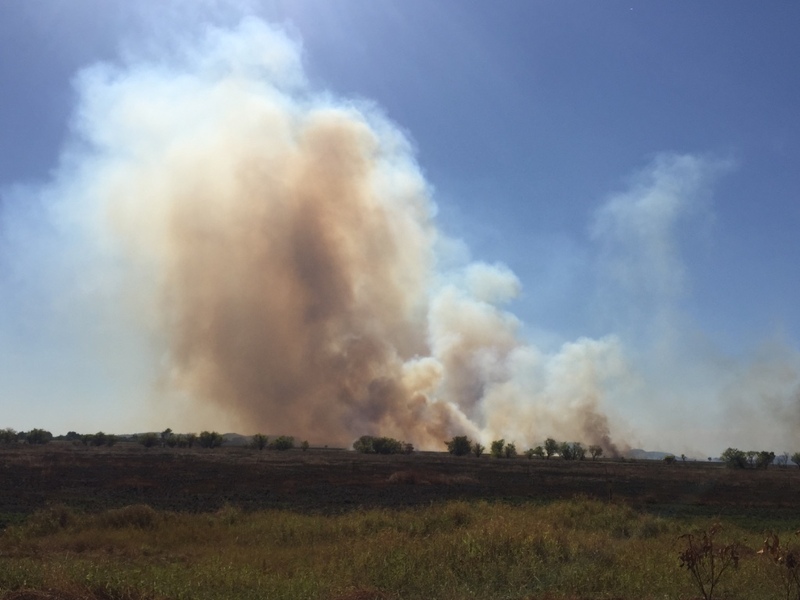 Kakadu had a big reputation as a National Park – World Heritage Listing for the natural and cultural significance and therefore we had big expectations and we weren’t disappointed. 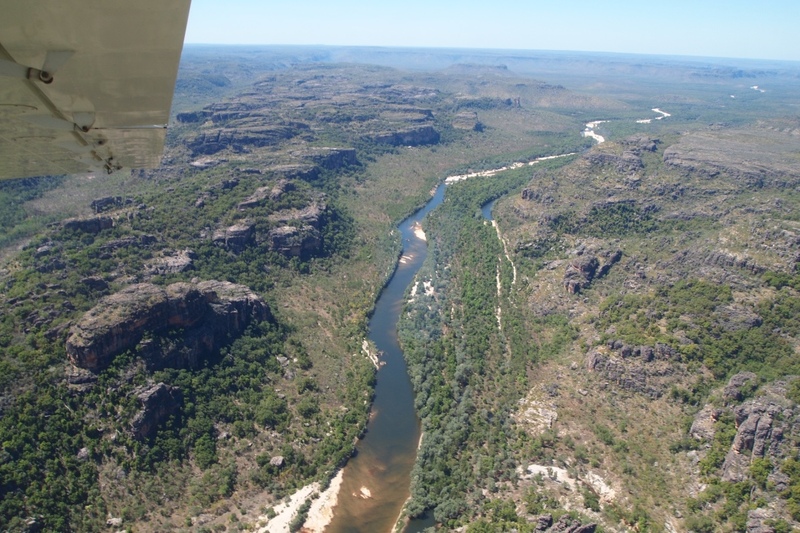 Kakadu is amazing the scenery, the birds and animals, the aboriginal culture and what surprised me is that the area has such diverse landscape….huge rocky escarpments, flood plains, rivers and lagoons and it is huge covering nearly 20,000 sqkms large amounts of Kakadu. 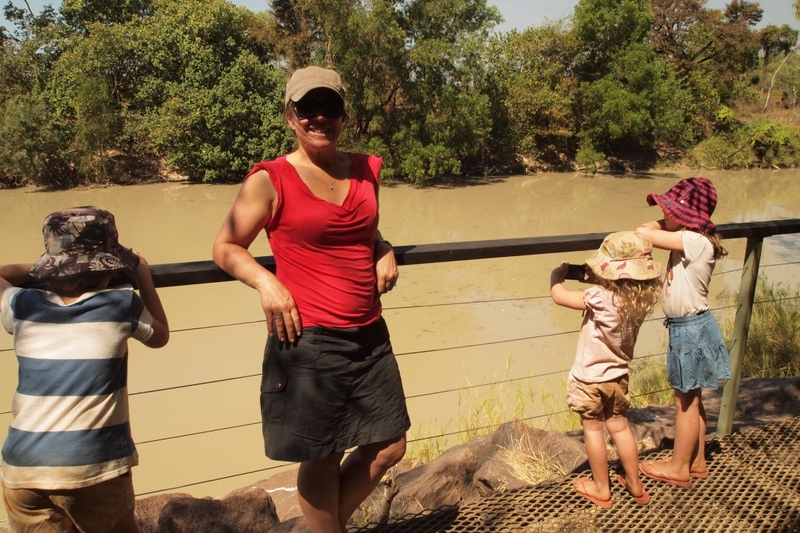 We camped at the Kakadu Lodge and Caravan Park an obvious choice for us as it was really hot and they have a swimming pool for the kids. 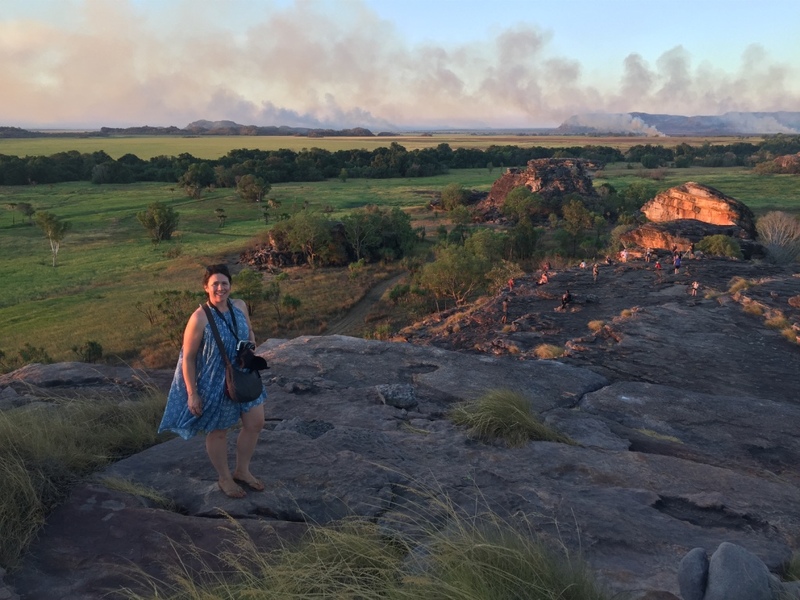 Our first day in Kakadu we visited Ubirr, for a guided Ranger Talk , which was really great explaining about the different types of art around Ubirr and some of the Dreaming stories that the art represents. 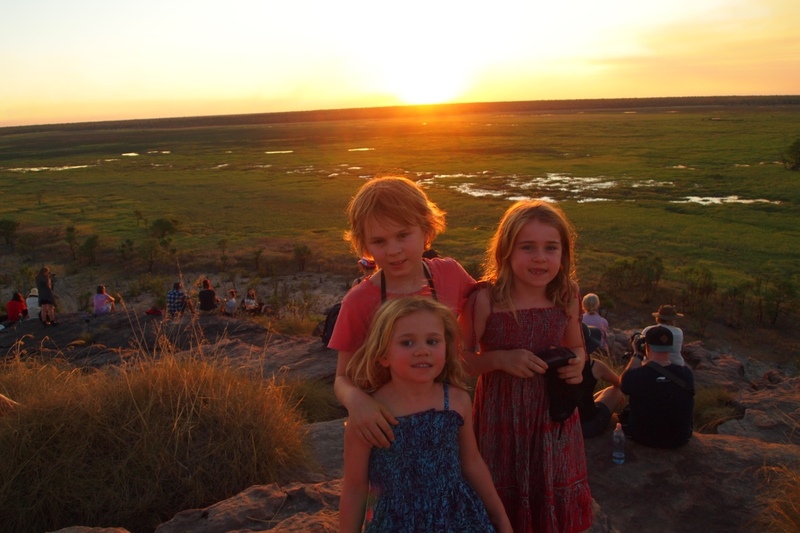 Two hours in the heat was a big ask for the kids but they were amazing respectfully listening the whole time… and several older couples comment on how well behaved the kids were – we were proud! 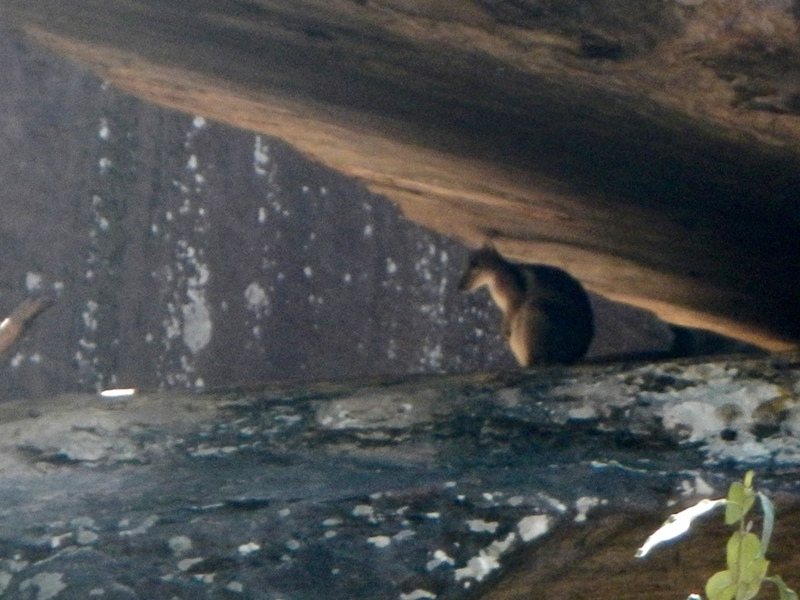 One lovely lady shared her biscuits and lollies as we had not brought snacks. 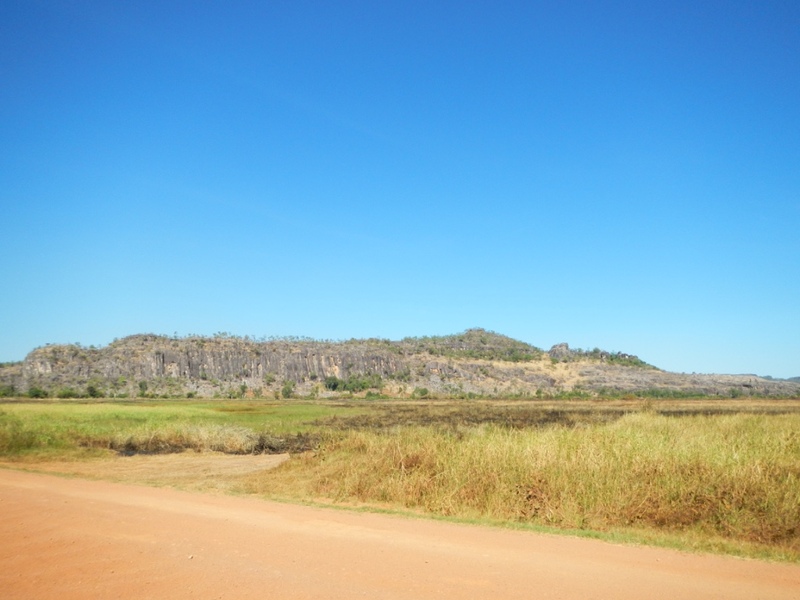 From Ubirr Rock there is an amazing view over some of the wetlands and across to Arnhem Land. 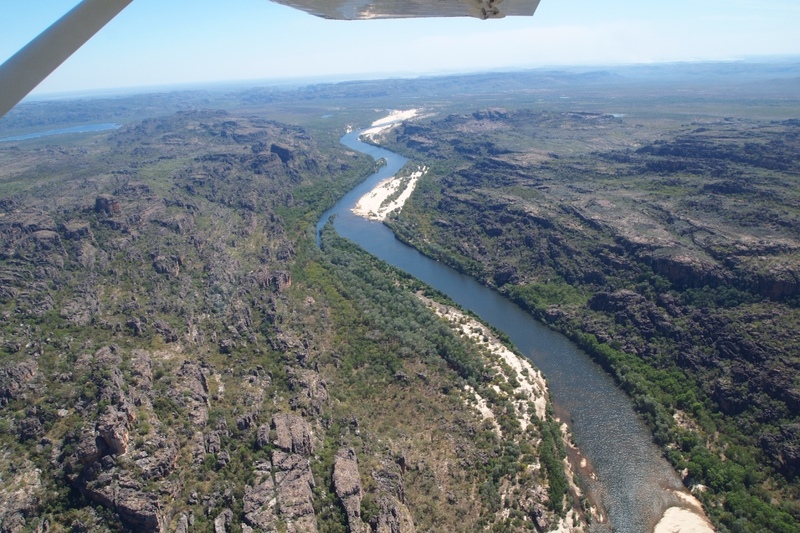 Kakadu has three aboriginal groups who are the traditional owners of the land the which the park covers being the Jawoyn, Manilakarr and Bunidj. 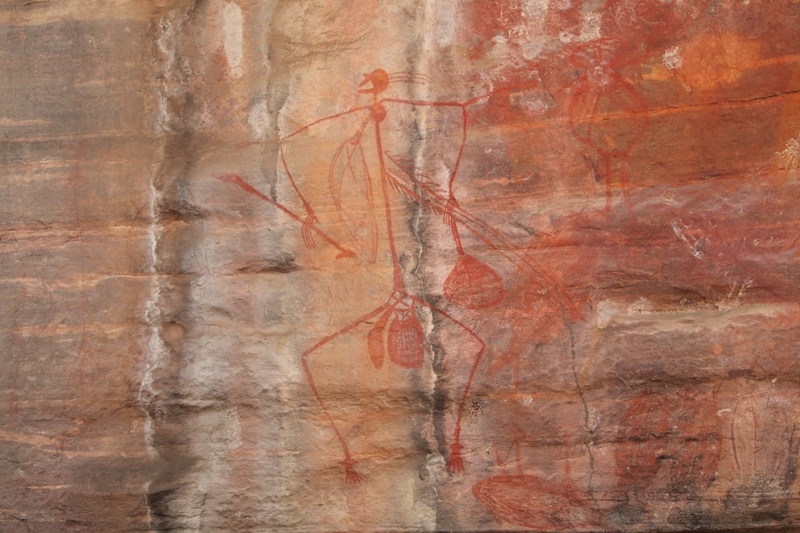 The explanations of the rock art and the Dreamtime stories that have been passed down with generations were really fascinating. 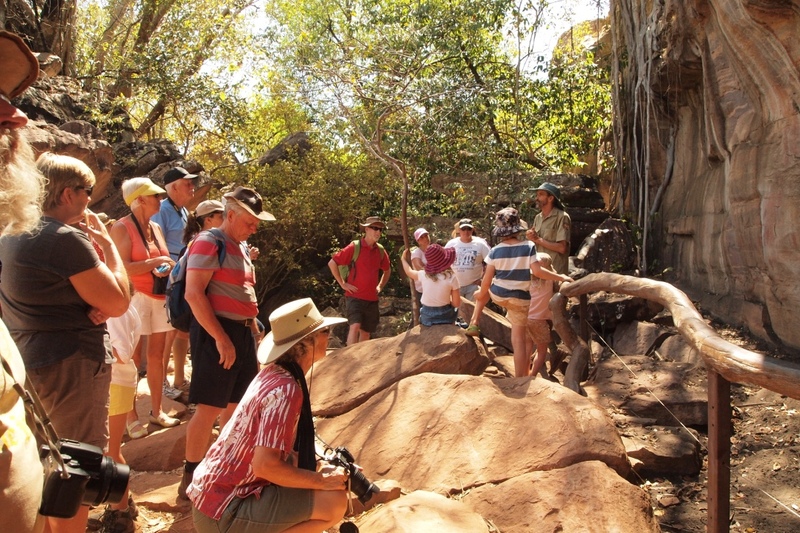 And having seen so much rock art is was really good to have the cultural significance explained. 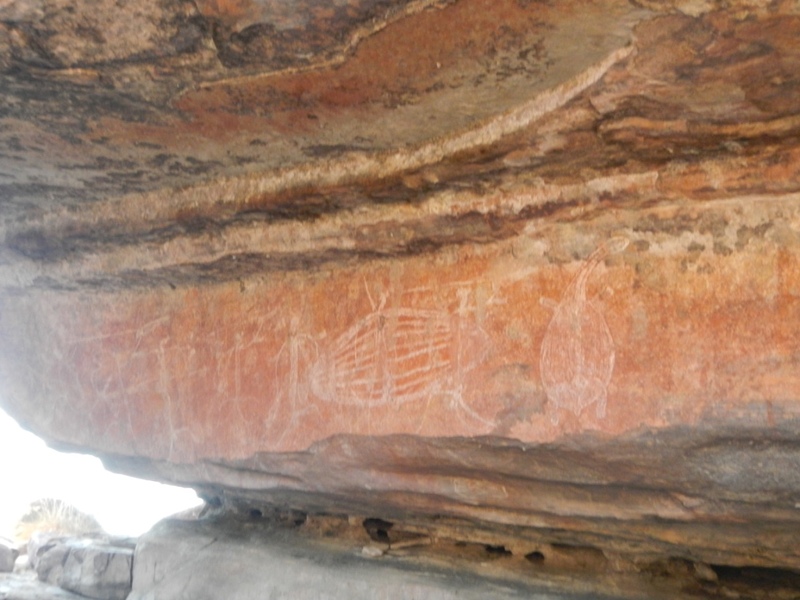 The rock art in the area is unique and different from the rock art we saw throughout the Kimberley. 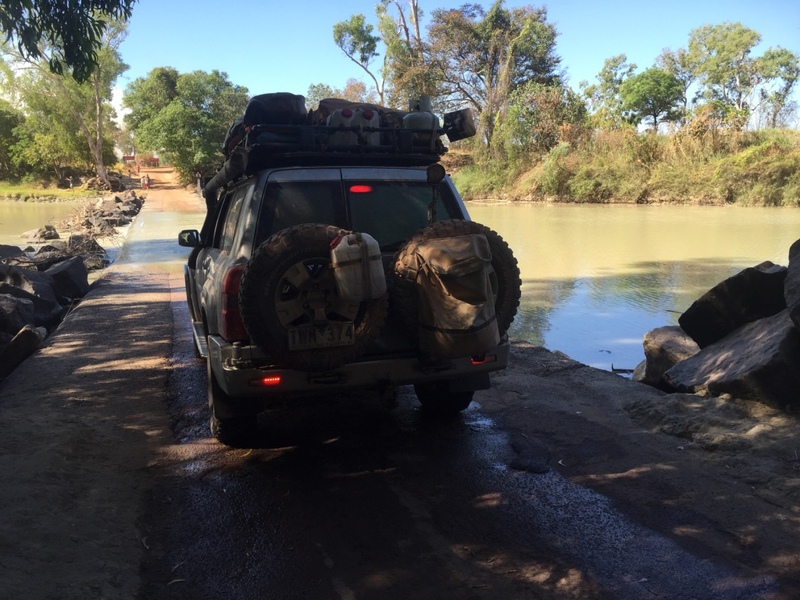 North of Ubirr is Cahills Crossing of the East Alligator River into Arnhem Land. 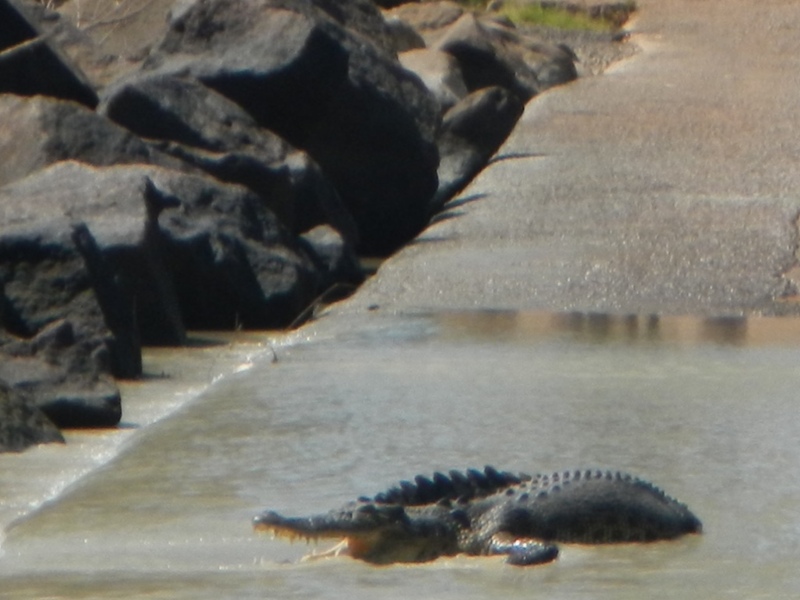 The East Alligator river has tidal water movement and at low tide you can cross the causeway and it is a spectacle for tourists because you can see a number of crocodiles that come down hoping to catch fish on the crossing at low tide. 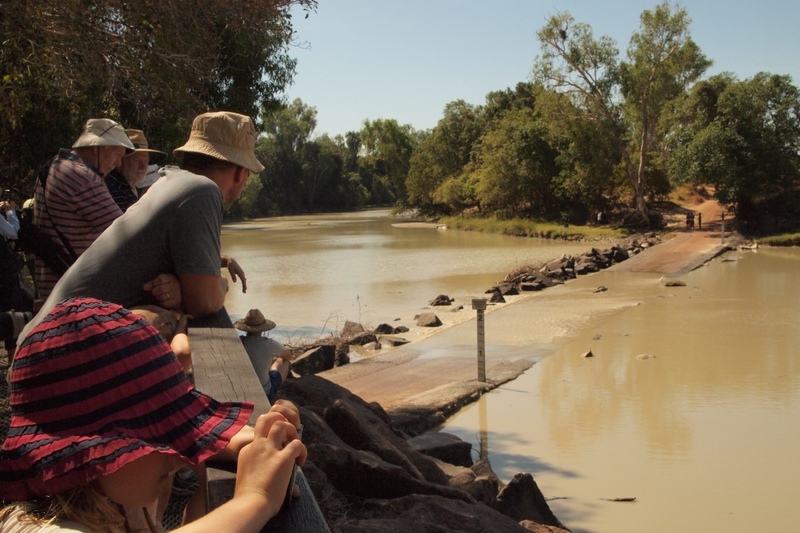 You can also see a number of brave (or stupid) tourists getting rather close to the crocodiles. 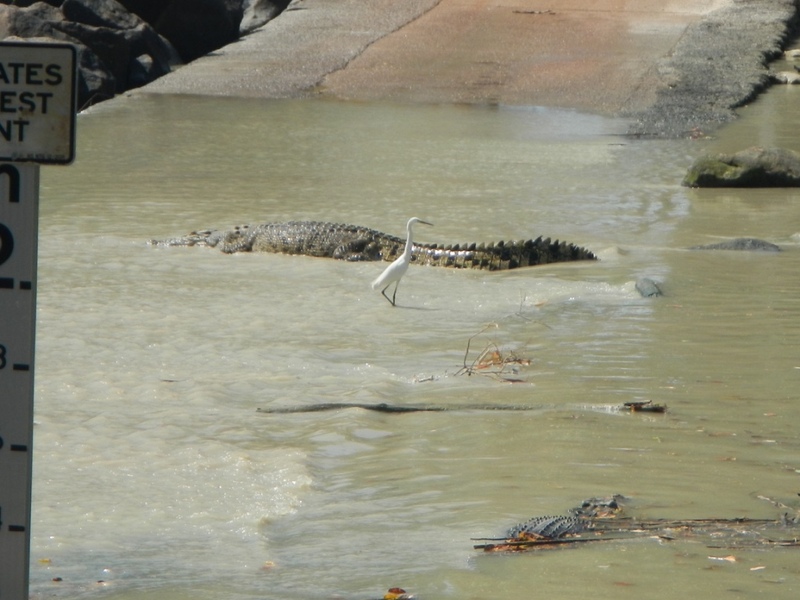 We had lunch and watched the crocodiles at the crossing too. 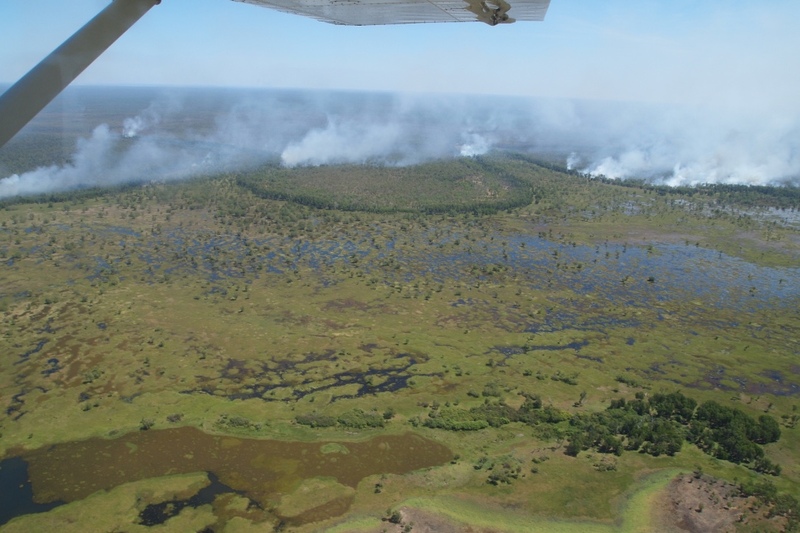 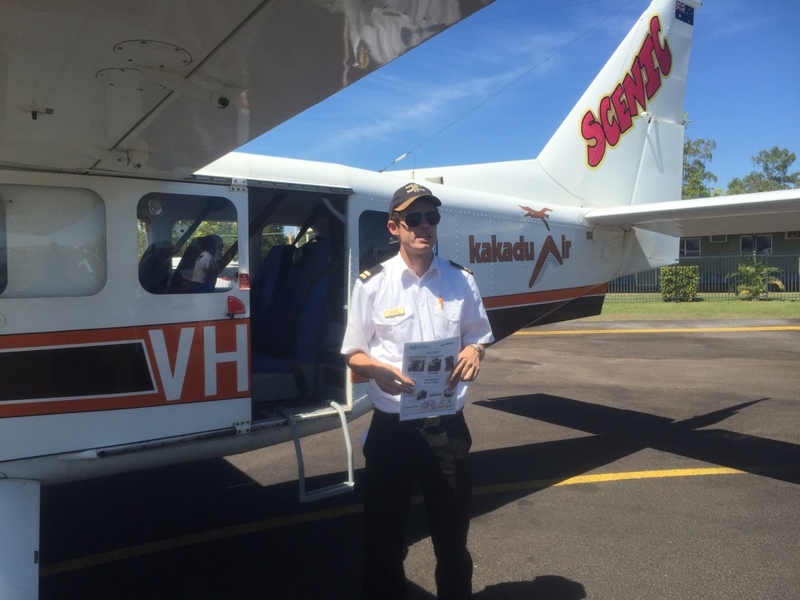 Whilst in Jabiru I was fortunate enough to have an amazing 1 hour flight over Kakadu and Arnhem Land. 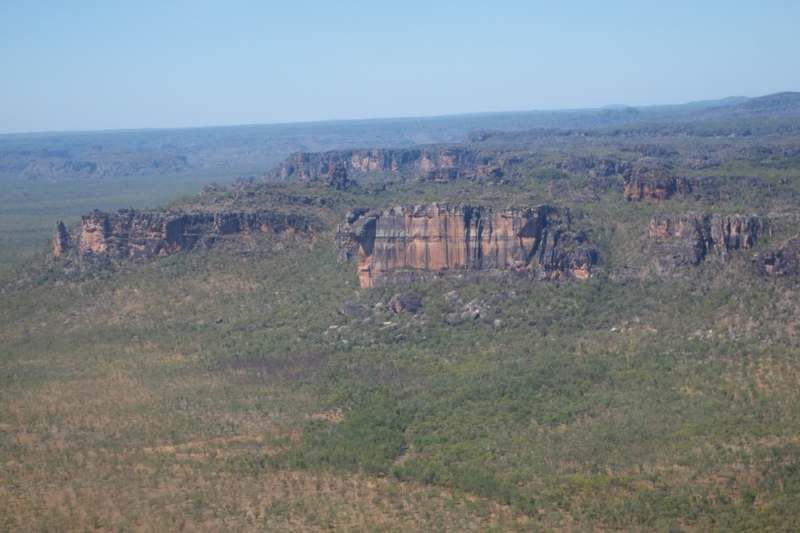 The kids waved me off very jealous and I enjoyed a peaceful hour with the most mind blowing views. 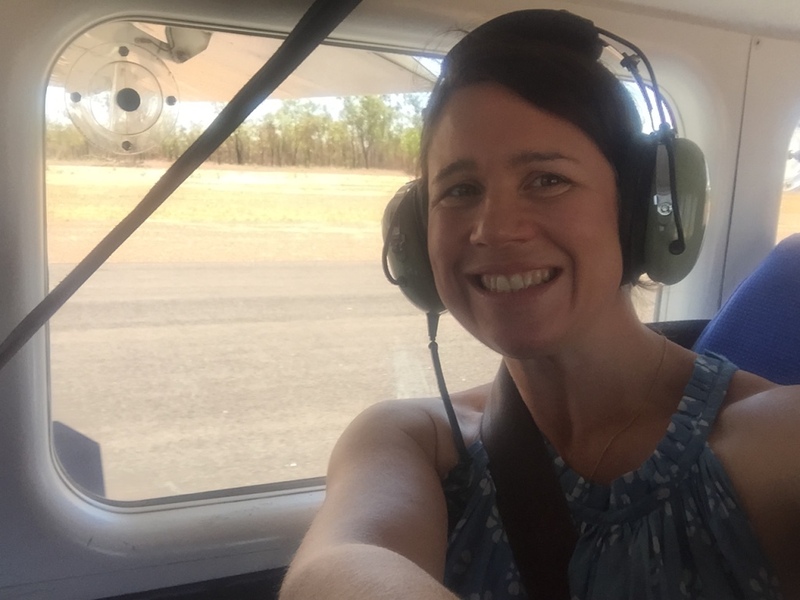 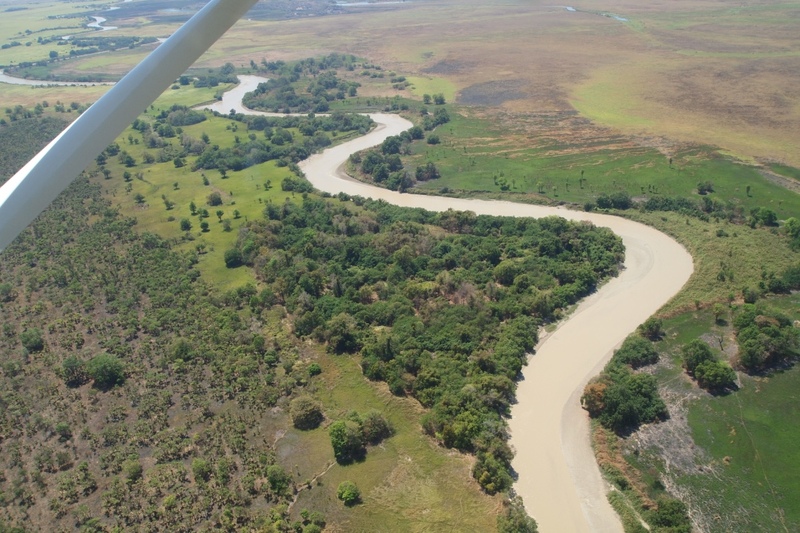 Seeing the wet lands, the Alligator Rivers and the Arnhem escarpment from the air was truly spectacular – many thanks again to Lisa and Quin for the generous birthday gift. 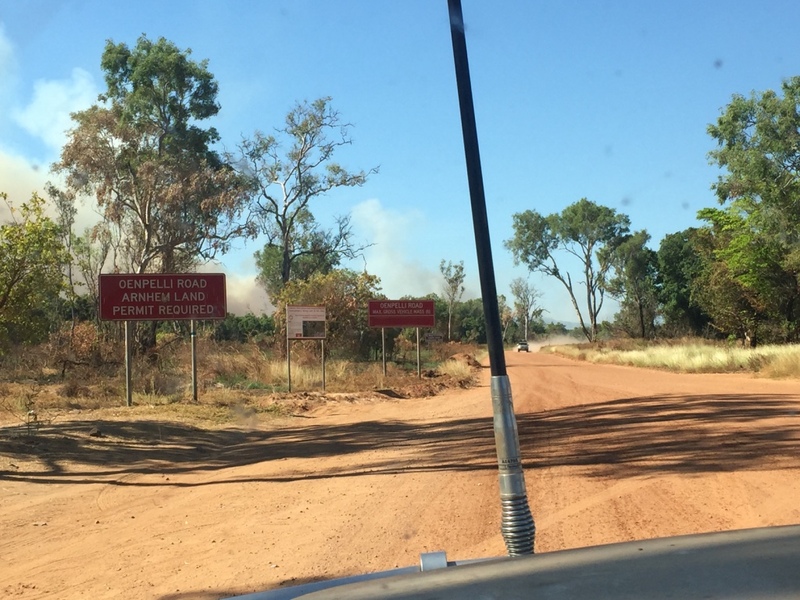 That afternoon we got a permit to enter Arnhem Land to visit the Oenpelli (now called Kanbarlanja) and see the Oenpelli Art Gallery and workshop – the children met some artists and were hugely impressed at their very steady hand. 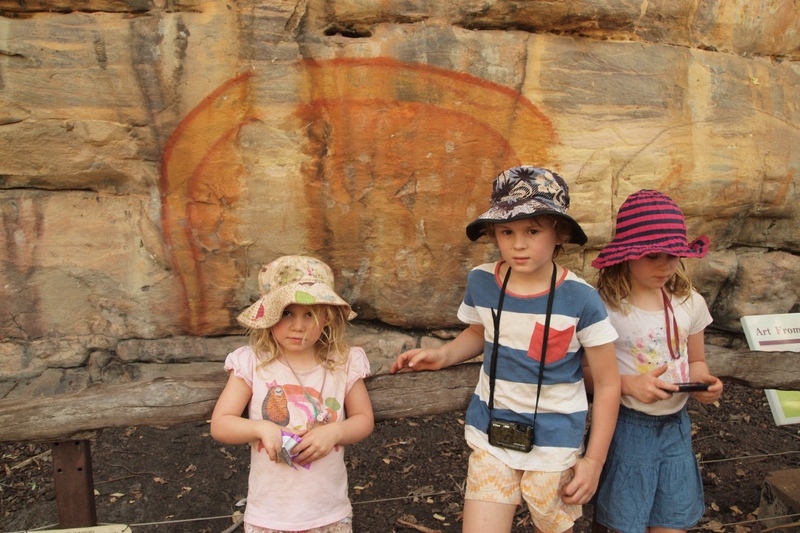 It was incredible to watch their fine line painted using traditional pandanus leaves as a brush. 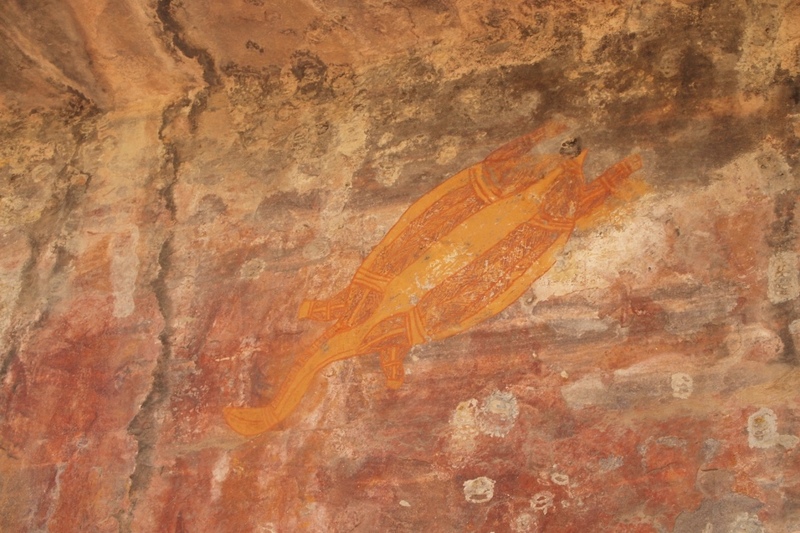 The artworks were amazing. 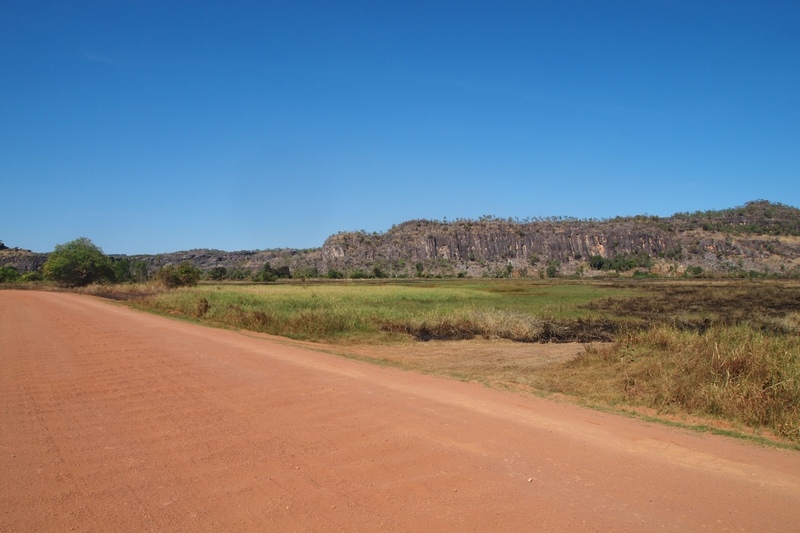 The indigenous women of this area have always weaved using pandanus leaves and there were some beautiful baskets and traditional dillie bags which were used to carry items. 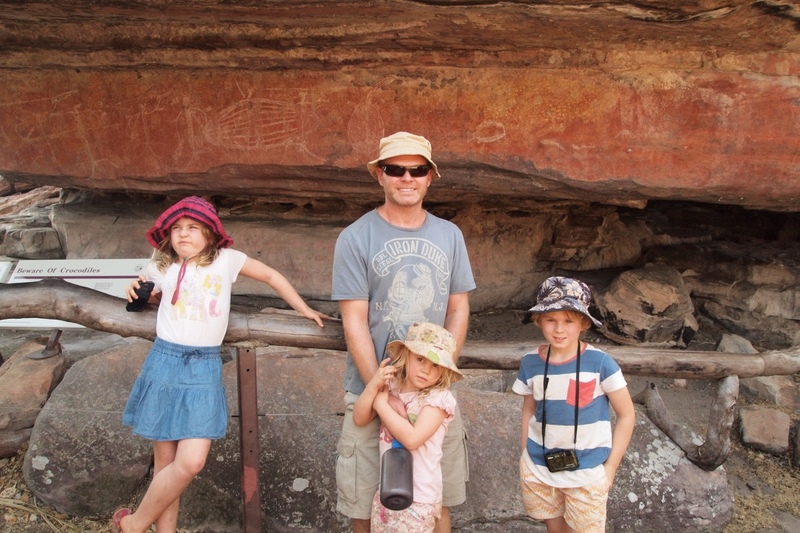 I bought a small bowl as a souvenir of our little adventure into Arnhem Land. 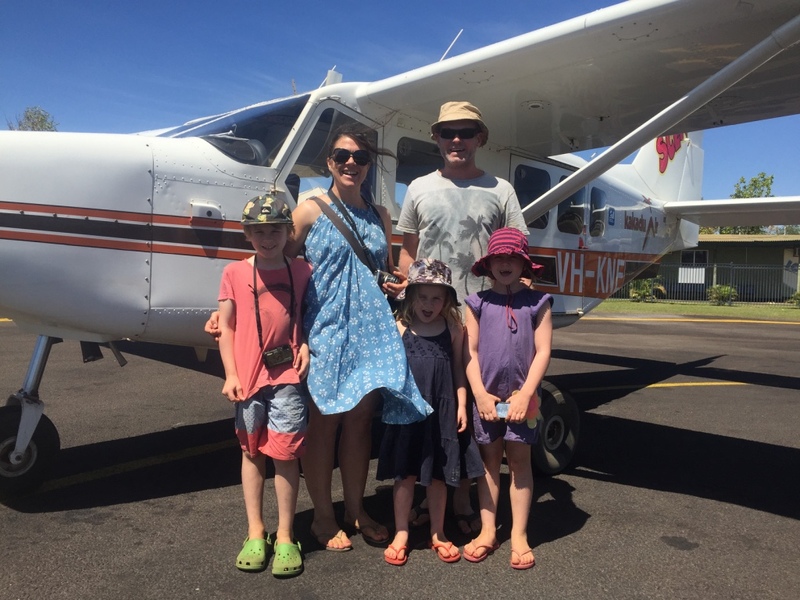 Our original travel plans we had hoped to visit Cobourg Peninsula however we are running short of time and without anywhere for the kids to swim we couldn’t justify the long journey. 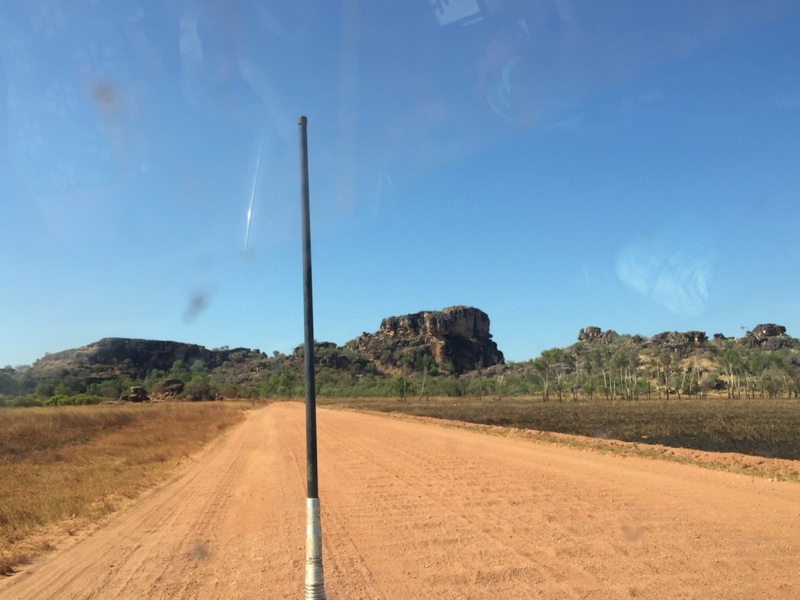 We had just a taste of Arnhem Land – it is really stunning landscape– we agreed we will have to come back another time to visit such beautiful country and the people. 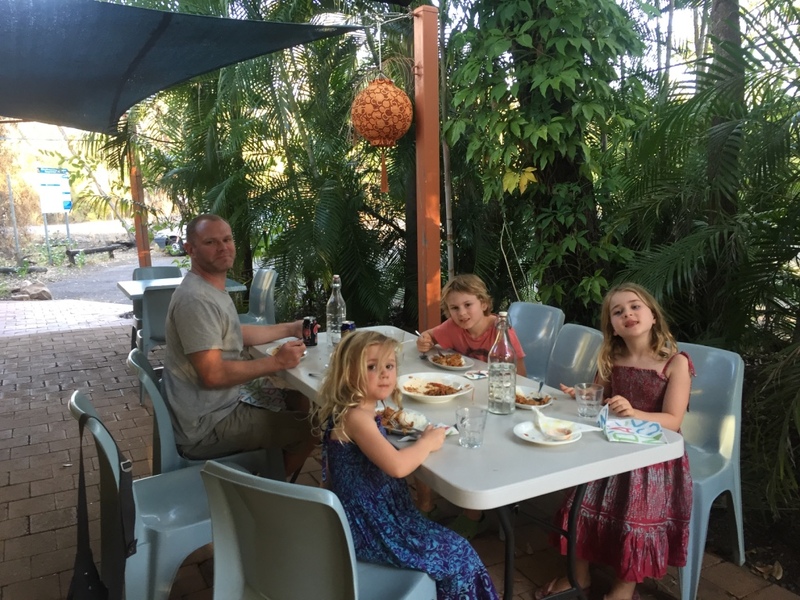 Border Store Thai for dinner – Yum! 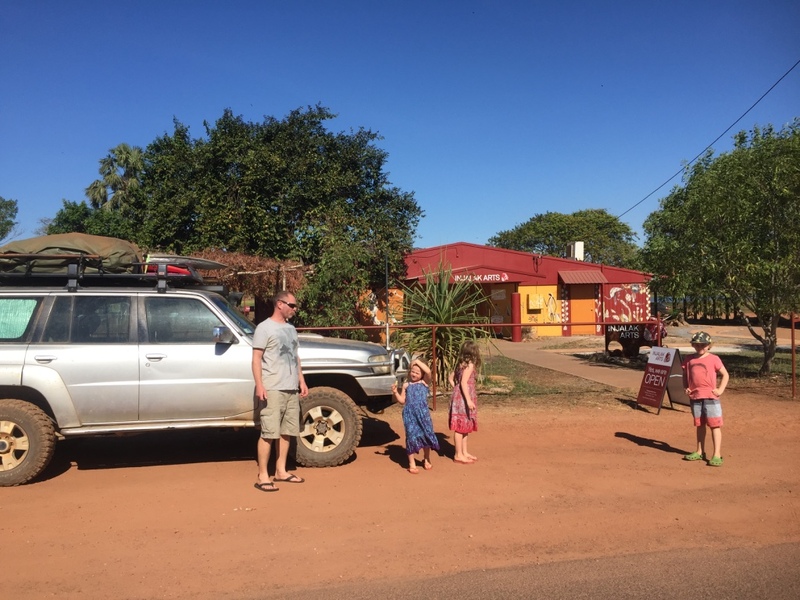 Back across Cahills Crossing and we had a quick Thai meal at the Boarder Store before heading up Ubirr Rock for sunset views and photos with approx. 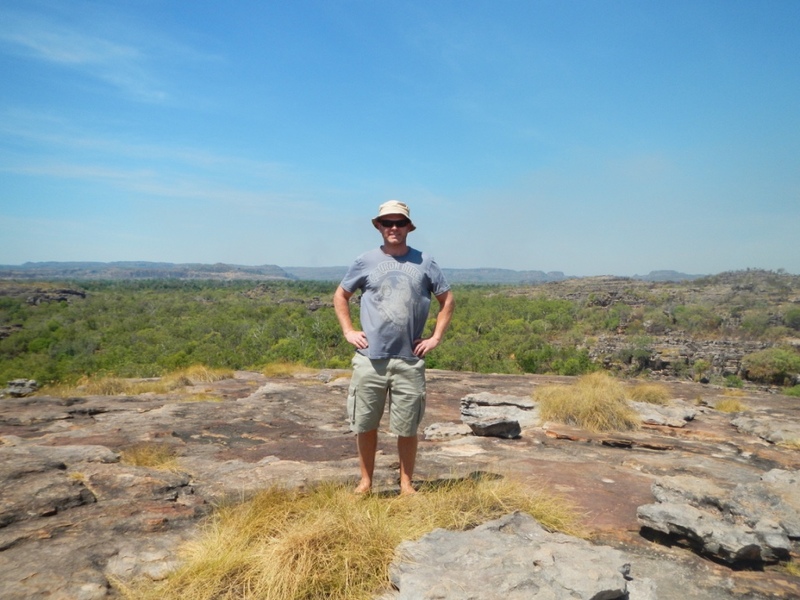 200 other tourists…it was amazing. 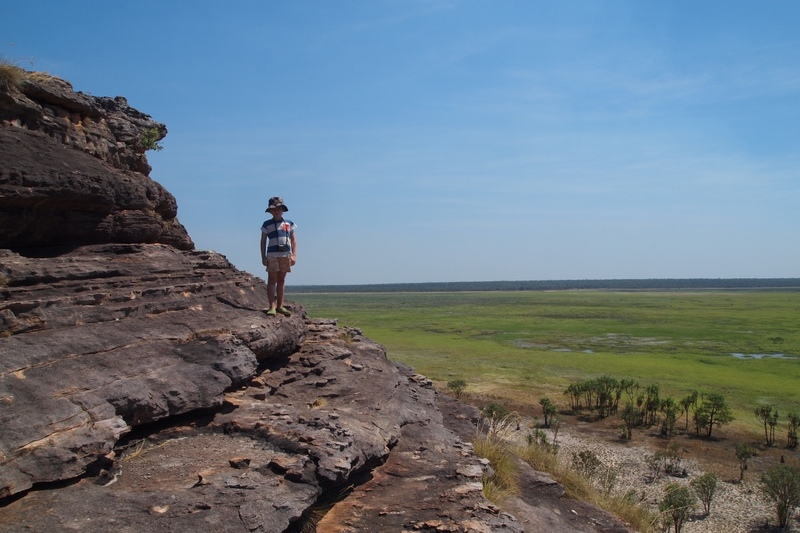 This is a site made famous by the Crocodile Dundee movie and so spectacular – one of those views that has a spiritual feeling – after the photos we all sat in silence taking in the scenery.